Cancer is a formidable foe, and science is still in its infancy when it comes to mounting a battle against it. Thankfully, we have more options than ever before to treat cancer in our veterinary patients, and have a great deal of success. Our failures are still too high for our liking, however, and we are always looking for new ways to combat this common disease. Oakland Veterinary Referral Services is excited to be offering a newer treatment technology for our patients with cancer. Electrochemotherapy in pets is an exciting option that we hope will allow us to win a few more of our battles. Strong. Intelligent. Stately. Loyal. Dedicated. 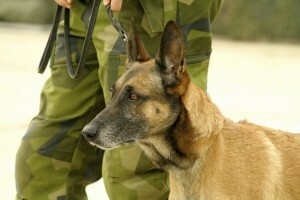 Just a few of the many adjectives one could use to describe U.S. military dogs. Vietnam veteran and former military dog handler Joseph J. White felt the same way, which is why he founded National K9 Veterans’ Day (March 13th), a day intended to honor all military and working dogs for their service and their sacrifices for our nation. St. Patrick’s Day is right around the corner, and with it come the inevitable parties, traditional Irish food, and the wearing of green. Named after St. Patrick, the most recognized patron saint of Ireland, this day is celebrated around the country, regardless of whether or not the celebrators are of Irish descent! 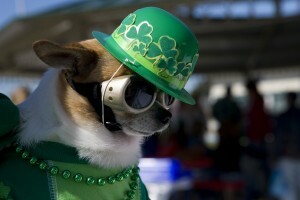 Because pets are increasingly being considered full-fledged family members, it makes sense that some of us will want to include our four-legged-friends in our St. Patty’s Day festivities. Before you follow that rainbow out the door, however, take a moment to bone up on some important St. Patrick’s Day pet safety tips. The month of March is a big one for girls and women everywhere. Each year, the Expanding Your Horizons Network holds a conference for girls in grades six through ten to engage in activities promoting opportunities for them in science, technology, engineering, and math fields. It is a great opportunity for these young ladies to learn all about the options that await them in the world. Veterinary medicine is a science-based field that is full of opportunity for women of all ages. 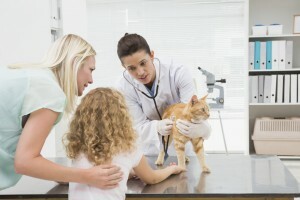 Learn more about girls in veterinary science and what prospects await them.